Norris Bradbury was a physicist who served as Director of the Los Alamos National Laboratory, and worked on the Manhattan Project. 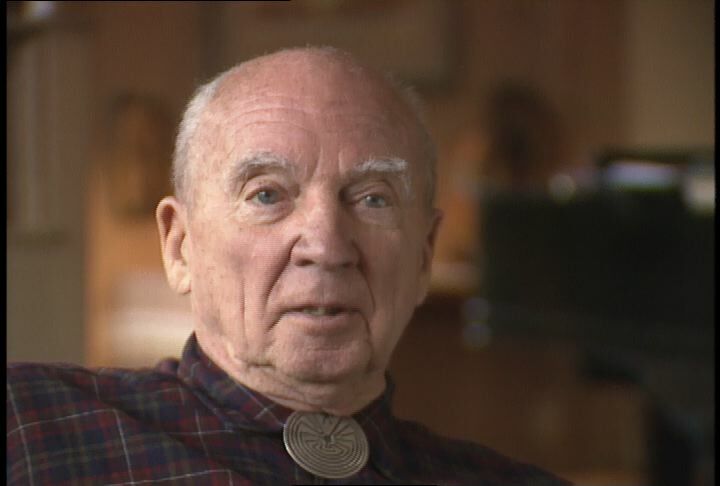 In the interview he discusses the work at Los Alamos after the end of World War II. He describes the challenge of rebuilding the laboratory in a peacetime environment, when most staff wanted to get back to their academic and industry positions. He describes the research that went into making smaller fission bombs with larger yields, and work on hydrogen bombs and other nuclear developments deemed necessary to stay ahead of other countries nuclear programs. He specifically describes the pressure of Operation Sandstone. He explains the difference between working under civilian and military commands, and also the balance that was eventually struck with the Atomic Energy Commission, which featured both types of organization in the form of the General Advisory Committee and the Military Liaison Committee. The discussion turns to strategy, specifically the question of whether the INF treaty has the effect of decoupling of Europe from the United States. Among the key issues discussed in connection with the military-civilian was that of custody of nuclear weapons. Another topic covered in the interview is Operation Sandstone, designed to boost the yield and shrink the size of those weapons. Dr. Bradbury also covers issues relating to congressional pressure and the impact of the Soviet bomb test. The interview closes with a discussion of the effect of the leadership changes in the USSR on American policy-makers. Chicago: “War and Peace in the Nuclear Age; Weapon of Choice, The; Interview with Norris Bradbury, 1986 ,” 03/17/1986, WGBH Media Library & Archives, accessed April 25, 2019, http://openvault.wgbh.org/catalog/V_A3C9C6A907AE41B09566B05ADB1EA2C9. MLA: “War and Peace in the Nuclear Age; Weapon of Choice, The; Interview with Norris Bradbury, 1986 .” 03/17/1986. WGBH Media Library & Archives. Web. April 25, 2019. <http://openvault.wgbh.org/catalog/V_A3C9C6A907AE41B09566B05ADB1EA2C9>.